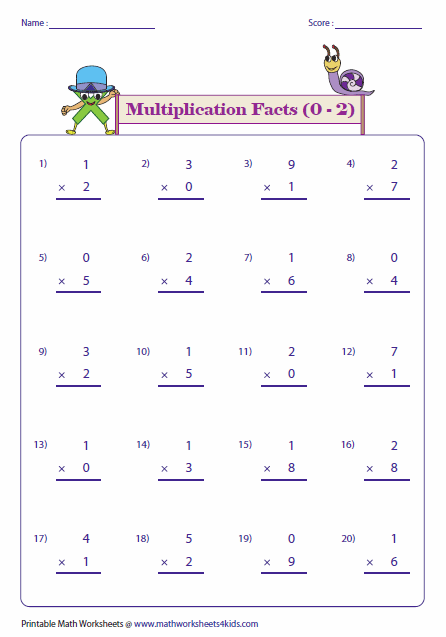 Basic multiplication fact worksheets contain facts from 0 through 12 with the factors arranged in the horizontal and vertical forms. Each practice sheet contains the funny theme to attract the early learners. 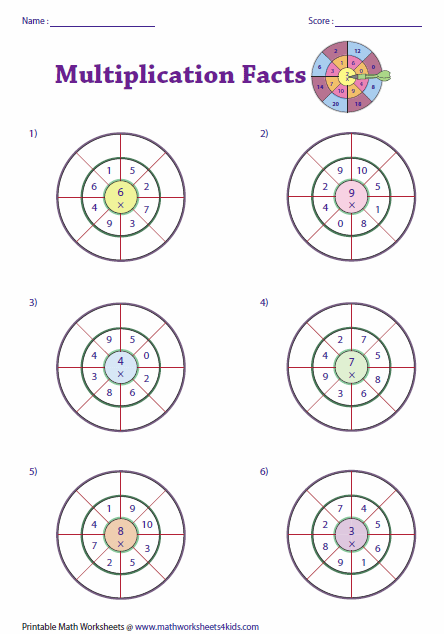 Dart-board section gives the complete review of multiplication of whole numbers from 0 to 10. 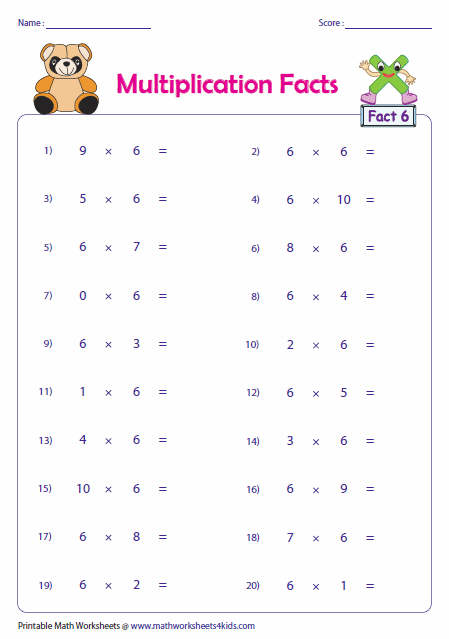 The practice pages improve the skills in multiplication times tables. This is the best section to practice column multiplication facts for each whole number. The themes are based on funny characters with caps. The factors are arranged in the horizontal form. Stuffed-animal theme is used in each worksheet. 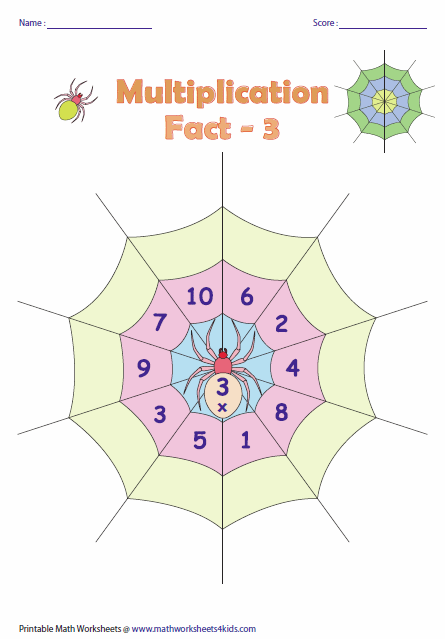 Multiply each number around the spider with the number on the spider. Write the products at the corner. 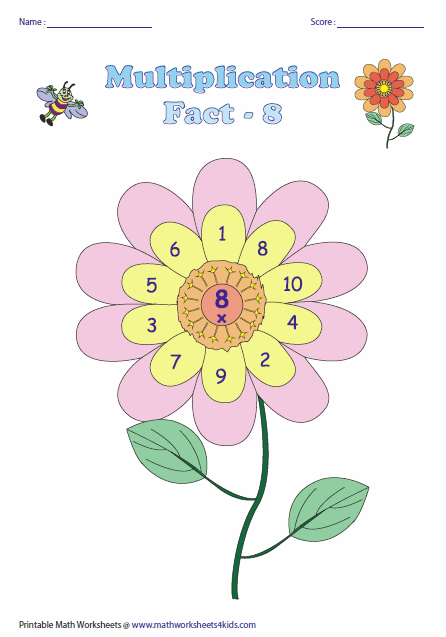 Practice the multiplication facts with the awesome flower theme. 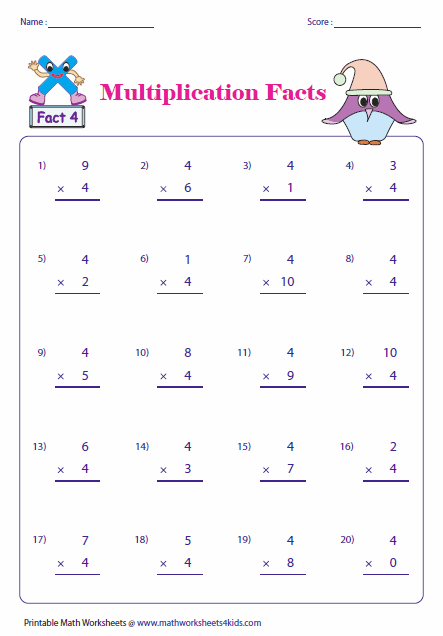 Mixed multiplication facts contain the factors arranged along the column. Select the range of numbers you want to practice. 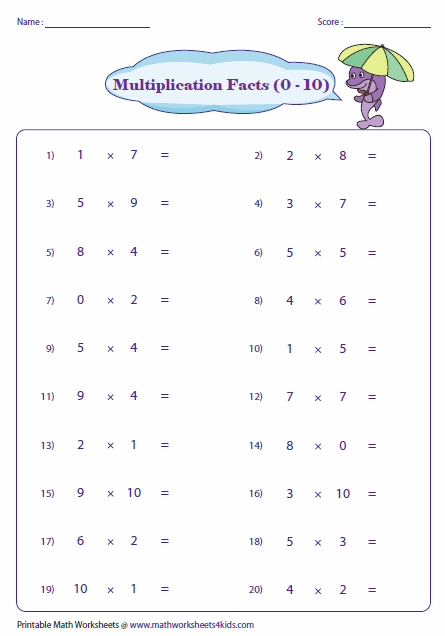 This section contains row multiplication facts with the factors in the range 0-10. Each worksheet contains a cute animal theme holding an umbrella. Dart-board multiplication provides the best-practice environment in reinforcing the knowledge on multiplication times tables.